To watch this episode you should have watched the Touhou Niji Sousaku Doujin Anime: Musou Kakyoy first! 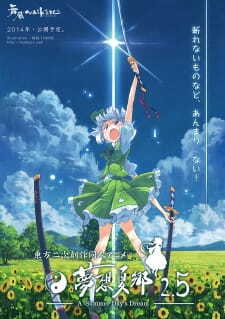 In my opinion, this is the best out of the 3 episodes of Touhou-anime! Gnerally, the animation and music is lovely! It has great action and -comparing to the 2 previous episodes- it is a lot more funny and amuzing! Taking into consideration its short duration, this episode is great and definitely leaves us with a cliff hanger!! !